Universal Survival Snaring Kit | BUDK.com - Knives & Swords At The Lowest Prices! You never know when you might need the Universal Survival Snaring Kit. It’s always better to be prepared! Just drop this kit into your backpack when hiking, camping, hunting, fishing or even bugging-out. 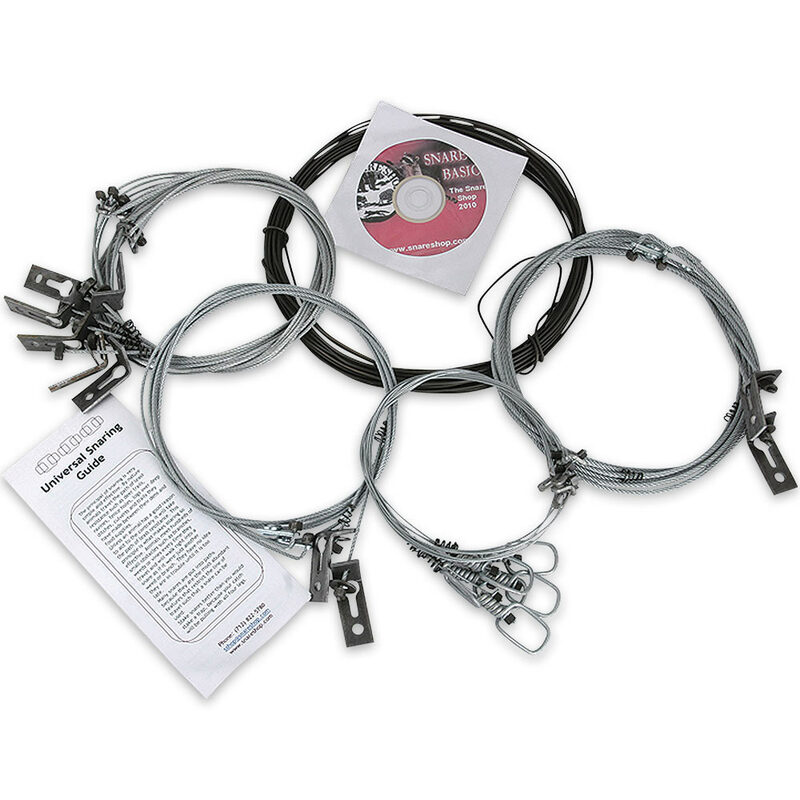 It's a great all purpose snaring kit! The snares are built with a quick-connect end, which means no rebar is necessary. You can quickly and easily attach the end of your snare to any fixed object or drag. The kit has a variety of snare sizes, including: six small game snares, six raccoon and beaver snares, two coyote snares and two wolf and wild hog snares. Also includes wire, instructional DVD and written guide.